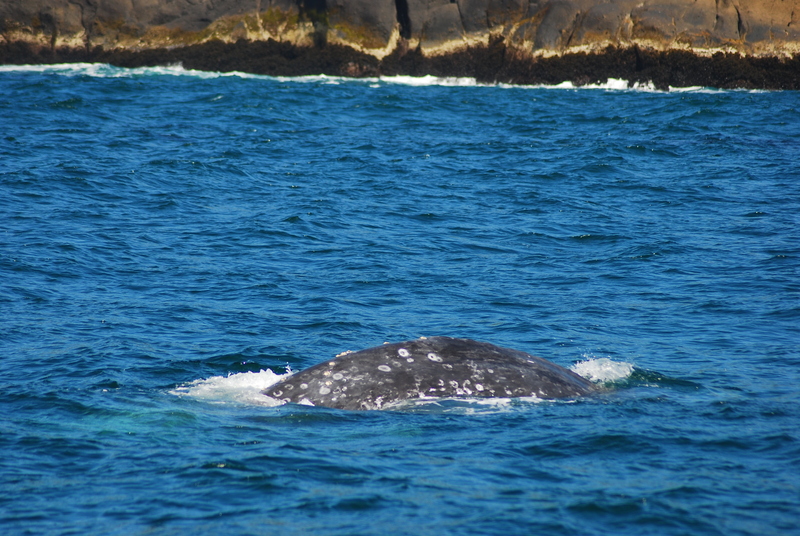 Gray whales can be viewed as they migrate up and down the Pacific coast from Mexico to Alaska. Some of the information in this article was partially derived from Journey North’s website at learner.org/jnorth. It is a great organization that conducts migration research and educates children about wildlife migration. For a more detailed explanation about each point along the route go here. The journey for gray whales begins in January in Baja, Mexico where a number of large coves and bays act as nurseries for young gray whale calves and their nursing mothers. The whales return here from feeding in the north as early as December to give birth or find a mate. The mothers and their young stay the longest to give the newborn calves enough time to feed and grow before the long journey ahead. Check out their weekly updates here to see how the population is doing. They reach the furthest point of their 5000 mile voyage around June and July in Alaska’s Chukchi Sea where they feed for several months. Not all gray whales go this far but those that do must start their return to Mexico by October when the ice begins to form. The map below shows the observation posts along their migration route and are generally areas where self guided (coastal viewing) whale watching or tour boat operators may be found. They are ordered from south to north. Many people don’t realize that you can find a year-round population of 200-400 gray whales off the coast of Oregon near the town of Depoe Bay. If you go to the center of town you can find a kiosk selling tickets for whale-watching tours that leave periodically throughout the day.While you are waiting for your boat, go across the street to the Whale Watching Center. There are some educational displays along with large viewing windows with binoculars for whale spotting. If you are the more independent type you could also go it alone. Only about 2 miles south of Depoe Bay is Rocky Creek Scenic Viewpoint overlooking Whale Cove. It is an amazing spot to have a picnic lunch and some wine and just relax for a few hours. Just make sure to take some blankets because even in the middle of summer it is cold. When my wife and I went in 2009 we spent an entire afternoon there and pretty much had the entire place to ourselves. 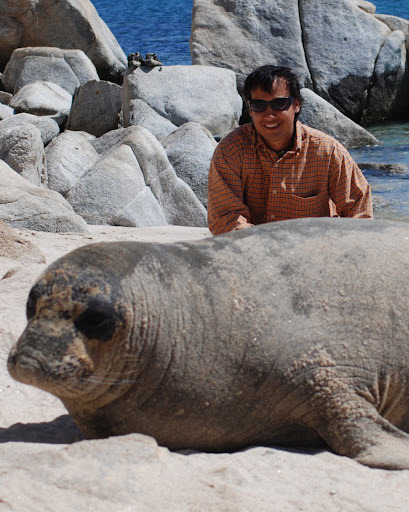 While we there we saw several whales glide by along with some frolicking sea lions in the surf just below.